Restoring the Psalms is not simply about writing a modern version of the Psalms and incorporating them into modern theology. If we are truly restoring the Psalms then that includes restoring the name of our Father to our worship and also the theme of Israel to our worship. If we are true to the text there is no room for replacement theology. There is one common name for all the people of Elohim. King David and other writers of the Psalms over and over are speaking to Israel because Israel is a more accurate name for who we are if we believe and obey the Elohim (God) of the Scriptures. Identifying as Israel helps us to see the bigger picture outside our own personal worlds and connect with the corporate body that we are a part of. When it comes to the name of our Father, it is so very important that we begin to sing his name in our worship because it develops a healthy emotional bond of love and affection to that name instead of to names such as God and the LORD which are man made titles that do not appear in the original scriptures and which do not clearly distinguish Him from other god’s. Restoring the Psalms is also about restoring Jerusalem to ‘our highest joy’ (Psalm 137:6). Worshipping in Jerusalem is one of the most powerful and prophetic things a believer can experience especially during the appointed Feast days (Passover, Shavuot (Penticost) and Sukkot (Feast of Tabernacles)). The true significance of Jerusalem has been lost for two thousand years but in this generation I believe Jerusalem will again be the centre of worship, creativity, light (Psalm 50:2) and wisdom as it was in King David’s time. 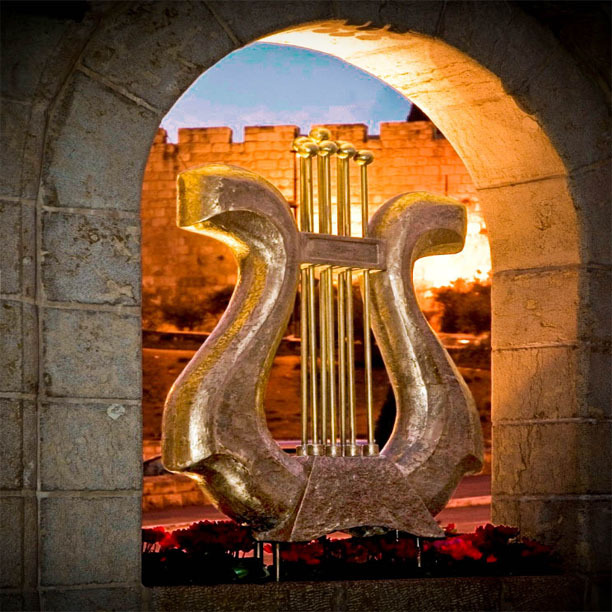 Jerusalem is to be the source of inspiration and joy for the whole earth (Psalm 48:2) for it is here that Elohim has placed his name forever (2 Ch 7:16) and it is from here that He will establish His Kingdom on Earth (Jer 3:17). The Psalms are clearly pointing us back to Jerusalem.